A New Year’s Concert with Galway ConTempo Quartet. Join us for an evening of classical music, as we move from Winter into Spring. 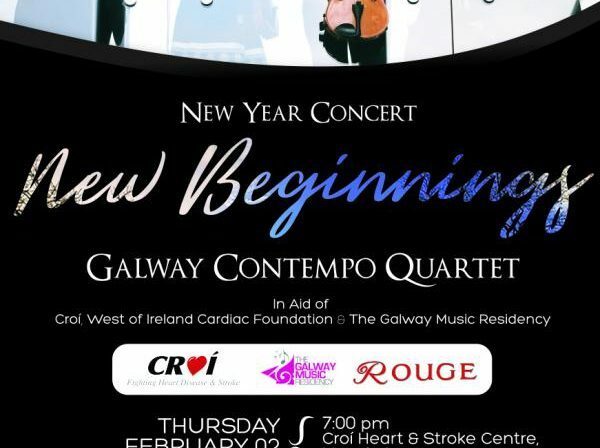 ‘New Beginnings’ A New Year’s concert with Galway ConTempo Quartet in aid of Croí and The Galway Music Residency (TGMR). ConTempo Quartet was chosen as TGMR’s Ensemble in Residence in 2003 and continues to captivate audiences throughout Galway city, county and beyond with its repertoire of classical, contemporary, folk and traditional music. ConTempo Quartet is recognised as one of the most exciting and vibrant chamber ensembles performing today. It has performed world-wide in many prestigious venues, winning prizes at competitions in Munich, Rome and London, and worked alongside artists of the highest calibre. Croí are delighted to welcome and host the event at Croí House, Newcastle, Galway Thursday February 2nd at 7pm. Wine and canapes on arrival by Rouge Restraunt. Tickets €25 can be purchased online or call 091 544310. Posted in NewsLeave a Comment on A New Year’s Concert with Galway ConTempo Quartet. 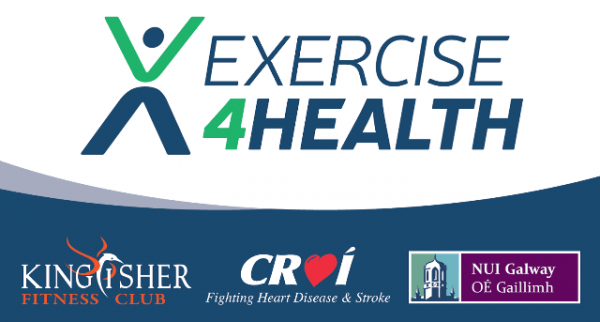 ‘Exercise4Health’ which is a unique collaboration between local heart & stroke charity Croi, NUI Galway and the Kingfisher Club is back in action after the Christmas break with the aim of helping the people of Galway take control of their heart health. 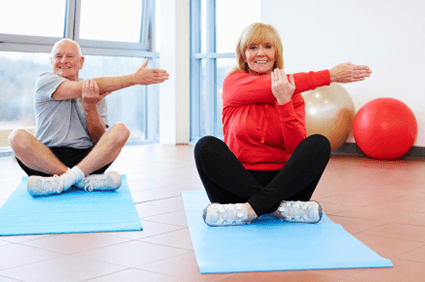 This specially developed programme has been designed specifically for those who due to a number of health issues are reluctant to engage in exercise or who are new to exercise. “The programme has been very successful over the past year by helping participants improve their cardiovascular fitness, decrease their risk of heart attack, stroke and diabetes and by engaging in a healthier lifestyle” says Croi’s Specialist Cardiac Physiotherapist, Denise Dunne. Being physically active prevents and helps control a multitude of health problems, especially, heart disease, stroke, diabetes and obesity. ‘Exercise4Health’ provides a locally accessible fitness solution and opportunity for those with chronic conditions such as diabetes, heart disease, pulmonary disease; those recovering from stroke or cancer or those with breathing difficulties or other long-term health conditions, to commence a safe and beneficial exercise programme. The programme is ideally suited to anyone trying to reduce weight or indeed improve their overall health and wellbeing. The six-week rolling exercise programme is specially designed to suit all levels of current fitness. Prior to enrolling in the programme all individuals will be assessed to ascertain their current fitness levels. “The social interaction and group dynamics are also a vital part of the benefits of the programme. Over the past year it has been a pleasure to see the many friendships develop between members of the group, with everyone enjoying a cup of tea/coffee at the end of each exercise session” says Dunne. Feedback from participants and testimonials from last year’s group suggest the programme is now a fun routine part of their week “Just brilliant – did things I never do” and “Enjoyed all aspects of the programme, the structure was excellent and the variety of exercise very good”…. are just some of the many positive comments. The next ‘Exercise4Health’ programme commences on Thursday February 2nd and takes place in the Kingfisher Fitness Club, NUI Galway from 1pm – 2pm and continues every Thursday at this time. Mix together the breadcrumbs and porridge oats. 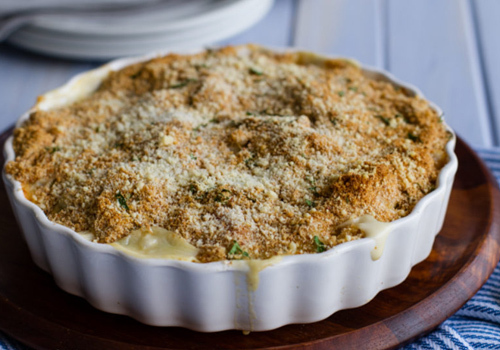 Rub in the low fat spread until the mixture resembles a crumble topping. Season with black pepper. Put the fish and milk into a pan and bring to the boil. Reduce the heat and simmer for 10 – 15 minutes until the fish is fully cooked. Transfer the fish to a plate and reserve the poaching milk. Carefully flake the fish, removing any skin or bones. Put the poaching milk, flour and low fat spread into a saucepan. Bring to the boil slowly, stirring continuously until thickened. Reduce the heat and simmer for 2 minutes. Add the fish, sweetcorn and tomato quarters to the sauce. Season with black pepper. Pour the fish mixture into a 1.7 litre/3pt ovenproof dish. Cover with the crumble topping and bake for about 30 minutes or until the topping is browned and crisp. Pilates is good for the Heart! Pilates is a method of exercise that consists of low-impact flexibility and muscular strength and endurance movements. Pilates emphasises proper postural alignment, core strength and muscle balance and is suitable for all levels of ability. A Pilates routine generally includes exercises that promotes core strength and stability, muscle control and endurance, including exercises that encourage proper posture and movement patterns. It encourages improved balance, flexibility and strength. Improves flexibility: Stretches can help elongate your muscles and increase your range of motion. The more frequently you practice Pilates, the better your flexibility becomes. Increases muscle strength and tone: Your abdominal muscles, lower back, hips and buttocks (the ‘core muscles’ of your body) all remain contracted and engaged during a Pilates workout. This constant tension helps keep the core muscles lean and build better endurance and strength. Improves breathing: The careful attention to breathing patterns encouraged in Pilates not only improves breathing patterns during your workouts, but it also improves blood circulation in the body. With proper, deep breathing, blood is better able to deliver oxygen to the appropriate muscles and organs, which can cleanse the body of toxins, provide a fresh, invigorating feeling, and help muscles recover better. Improves posture: No matter what your daily activity, whether you’re cooking, brushing your teeth or carrying groceries, Pilates makes you more aware of your ability to pull your stomach in and pull your shoulders down for good posture and spinal alignment. Teaches control both physically and mentally: All exercises are done with control, as the muscles work to lift against gravity and the resistance of the apparatus springs and thereby control the movement of the body and the apparatus. Promotes body awareness: With Pilates, you become more aware of your posture when you sit or stand. Reinforces strong, mobile joints: Pilates elongates and strengthens your muscles, improving muscle elasticity and joint mobility. This means less risk of weak or stiff joints, and it helps maintain flexibility which can reduce arthritis. Conditions the whole body: Every part of the body, from head to toe, gets a workout from Pilates. Your entire musculature is evenly balanced and conditioned, helping you enjoy daily activities and sports with greater ease, better performance and less risk of injury. Improves aerobic conditioning: Pilates increases lung capacity and circulation through the deep breathing done during each move and exercise. The next Croi Pilates Programme which is specially designed to suit all levels of fitness and abilities and is delivered by a trained exercise professional, will start Thursday 26th January and take place on a weekly basis in Westside Community Centre, Galway on Thursdays with both morning and afternoon classes available. Posted in NewsLeave a Comment on Pilates is good for the Heart!